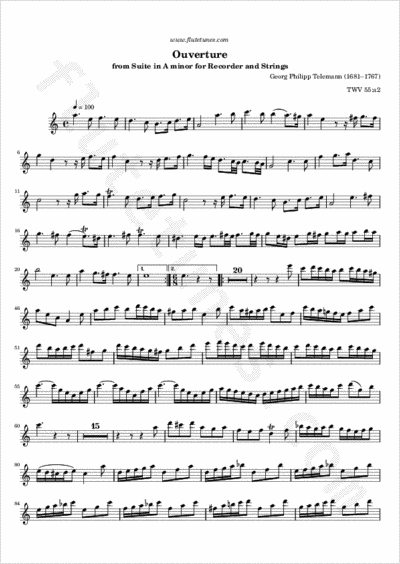 This overture in the French style begins and closes Georg Philipp Telemann's Suite in A minor for Recorder and Strings. Its opening slow section features the long-short snap rhythm prominently, and has a processional feel about it. The tempo soon rushes forward with a new theme, introduced in the strings; the flute then elaborates upon this theme, supported by a bare violin line or by the bass. Thanks to Tim for suggesting this piece!